Building a new home these days can be daunting. The Australian Standards require that all new homes meet certain levels of energy efficiency at design stage. In addition there is also an Australian Standard that outlines construction requirements for houses built in bushfire prone areas. 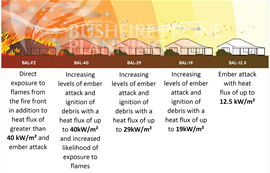 This standard is AS-3959 and refers to the Bushfire Attack Levels, or BAL's. 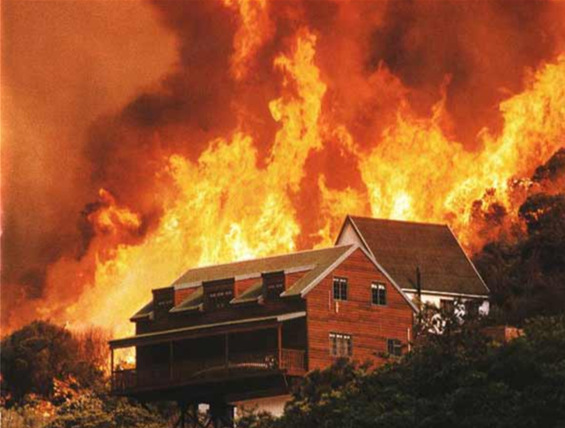 AS-3959 outlines the requirements for various building materials used in construction of houses in fire prone areas. We adhere strictly to these guidelines and not only meet them but exceed them. The houses we build are not only Fireproof externally, but the inside is fireproof as well. All the building products we use are non-flammable and cannot catch fire. This means you can even build in an area that is not fire prone, yet rest assured knowing your house is Fireproof. Because your house cannot burn, it also provides a safe haven for you, your family and your pets in the event of a fire emergency. You do not need to abandon the premises but can stay within the building knowing you are safe from the fire outside. We can build your home to your own design or you can opt for us to design one for you. It will not look any different from any standard house built using conventional Building Products. Contact us today for an informative chat where we can outline what we do and how we can offer you peace of mind, knowing you will be safe within your new fire proof home.